For more than 25 years, Butler & Willow has been helping successful businesses transform their workplaces into incredible spaces that people want to be, rather than just places to ‘work’. Managing Director James Willow talked to us about the company’s achievements and how outstanding businesses can get the most out of their workplace and workforce. Having been in business for 25 years now, what would you say has been the key to your success? We have worked consistently year after year to establish a solid reputation and secure our position within the industry and region, delivering tailored workspaces that retain skills, attract talent, enhance operations and boost long-term results. In turn, this has established our brand as a known benchmark for excellence, reliability and exceptional value – something we are very proud of and committed to upholding. In addition to routinely delivering impressive results, our success is also a direct result of our focus on providing remarkable customer service and client experiences. A huge majority of our demand is generated through referrals and repeat requirements, and we care a lot about building long-term relationships and set-out from the outset to acquire raving fans who want to refer us on again and again. Most importantly, our business has been truly successful because of the dedication and drive of our extraordinary team – our best asset – which I am very grateful to be a part of. You can’t deliver excellent service without an excellent team, and we have found that when you employ amazing people, continually develop them, and then combine their expertise to persistently deliver fantastic results, success comes more naturally. How have workspaces changed over the years? 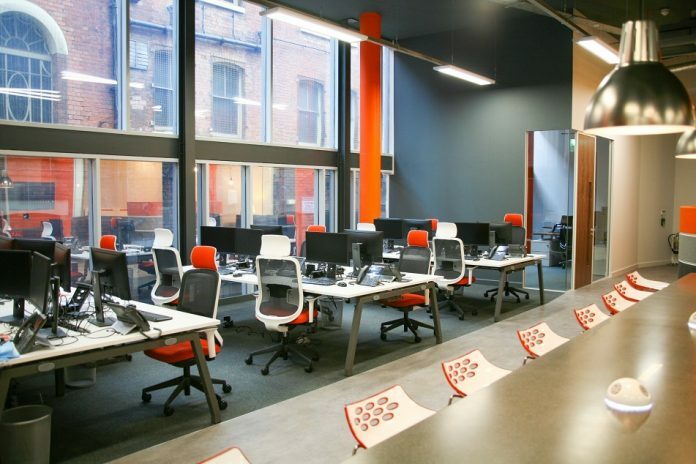 In our experience, the demand on workspaces has evolved significantly and continues to do so. Whilst they have always been places to ‘get tasks done’, the multi-generations of professionals now mixing together combined with the huge advances in technology and worldwide surge to nurture the best workforce is fastly becoming a hot-topic. This has caused attention to shift towards wellbeing and providing enhanced working environments where people can be their best. Traditionally, ‘staff’ would be allocated fixed desk positions depending on factors such as role, experience or status, where they would often be confined in separate offices for most of their nine-hour day. Not now. The transformation of work spaces is dead-set on offering free flowing, technologically connected spaces where teams can collaborate or individuals can immerse themselves into settings that fit with the task at hand. We don’t all work the same way, nor most effectively in the same surroundings, so varied areas have become very important. For example, we recently asked several people where they work from if working from home. The consensus was ‘depends on what I’m doing, sometimes the kitchen table, sometimes the sofa, sometimes outside and sometimes the bed.’ Case in point, the home office was rarely featured within the top replies. We even found that more and more people are turning these spaces into playrooms or gyms because they don’t work best in a traditional office environment, something which business owners are now taking into account. Are workplaces becoming too extreme and are they really conducive to getting work done? We often promote that workplaces don’t have to be ultra-gimmicky nor over the top with wackiness, but adding a bit of fun and creativity is usually the best way forward. It is important to understand how any new space will work best within the culture, or aspirations of an expanding one, and how it could truly offer an environment that encourages the teams within to work more effectively whilst providing the flexibility to adapt to future demands. Arguably, technology and culture bring about change far more swiftly than 25 years ago! It is often overlooked that people spend the majority of their week at work with colleagues instead of enjoying quality time with their loved ones, resulting in close bonds between colleagues. 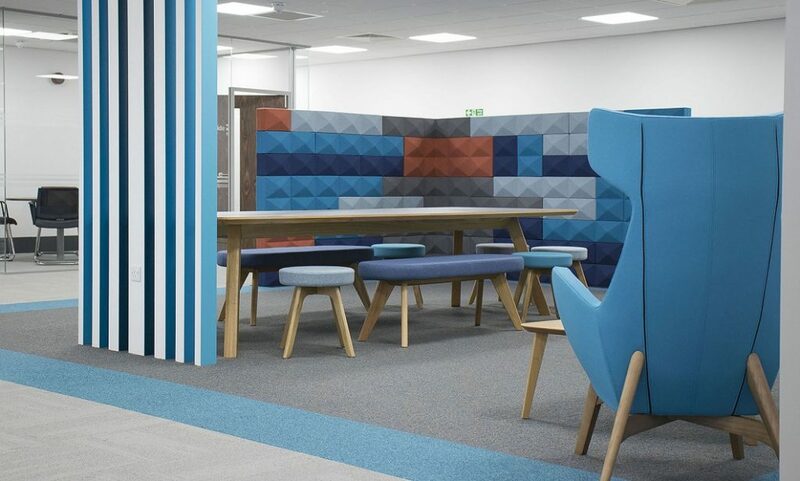 The businesses that are successfully utilising their workspaces in line with their culture and wellbeing are certainly blurring the lines of their talent feeling like their work-life interrupts their day and are often found to harness collaboration, innovation, loyalty and overall suitability. It is not just limited to many of the major corporations in the media every day – there are lots of local enterprises demonstrating this very effectively. What can businesses expect from Butler & Willow? We are proud to promote our team and whether it be a consultation service, full design and install of a new space or simply a re-model of an existing one, we can dedicate the experts best-suited to deliver your requirements. We recognise that choosing the right workplace solution at the right price is a high priority, and choosing a reputable workplace partner who can deliver the agreed solution dependably, is a key decision factor. We are a highly-accredited, sizeable and genuinely caring team of industry professionals that drive development and continually reinvest in our people and working showroom. We have a proven track record of delivering fantastic results and genuinely live by our values of CREATE: Commitment (we do whatever it takes), Responsibility (we take ownership), Empowerment (we use initiative), Ambition (we drive success), Trust (we do the right thing), and Excellence (we beat expectations). What’s next for Butler & Willow? At Butler & Willow, we’re always asking how we can do more, connect more and keep building tremendous relationships alongside the continual delivery of our day job. As always, we will continue to develop our admirable people, and aid businesses that come into our network and assist them with their own growth plans and aspirations. 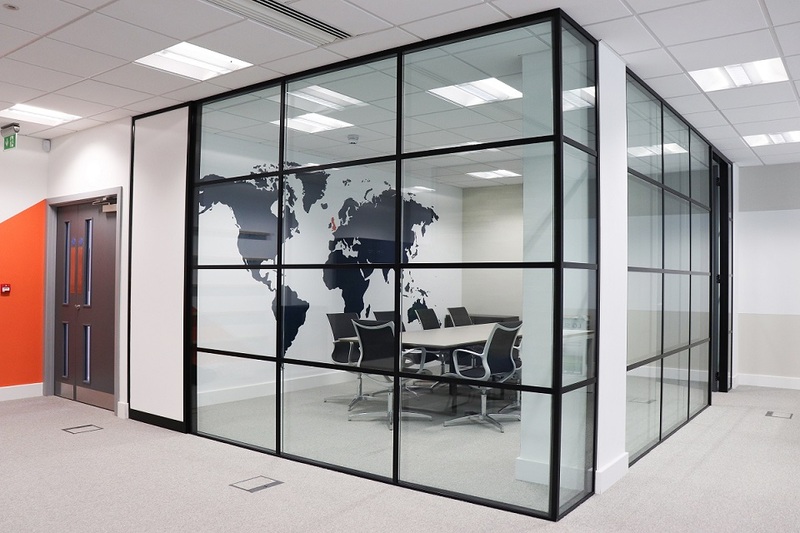 We are very fortunate to have attained a phenomenal web of like-minded professionals and often unlock these valuable connections to those who need more than just a fit-out! We enjoy the good times, champion our way through the tougher times, and hold great ambitions to boost our offering and renowned brand even further.